I’ve fallen in love with the Schlegel sisters twice now in separate decades. I plan to keep falling in love with them for many decades to come. They are vibrant defenders of knowledge, of books, of art, of travel, of feeling life in the heart, lungs, kidneys, liver, and spleen on a daily basis. Margaret and Helen have a brother, Tibby, poor lad, who is plenty bright while at Oxford, but in the family Schlegel home, he is struggling to keep up with the thoughts expressed that keep expanding past him. Compared to most people, they are rich. Compared to most rich people, they are poor. Their ancestors left them with enough capital to insure that they don’t have to work for the rest of their lives, can travel a bit, can go to the theatre, and can buy books as they need them. They are very attuned to their privileged position and are frequently tempted to reduce their capital by helping those in need. How much money do they really need or, for that matter, really deserve to have? Improbably, the Schlegel sisters become friends with the Wilcoxes, a capitalistic family who have a different idea of money. Is there ever enough? Helen forms a temporary attachment to the younger Wilcox which throws each family into a tizzy as to the suitability of the match. Margaret begins a friendship with the wife, Ruth, that proves so strong that it throws a few wrinkles into the plot regarding Ruth’s family and the inheritance of Howards End. Ruth passes away suddenly. ”How easily she slipped out of life?” Her insignificance in life becomes even more pronounced in her death. 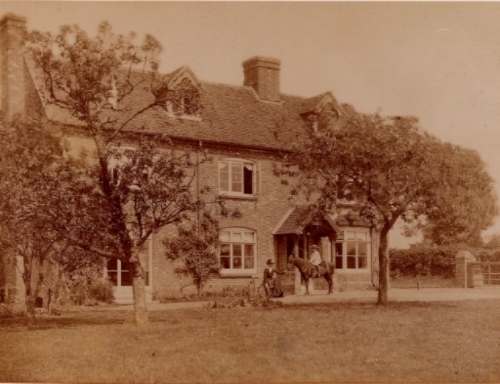 E. M. Forster based Howards End on his childhood home, The Rooks Nest, which had been owned by a family named Howard and referred to as the Howard house. Thus, the name Howards End is a not too subtle reference to that family home. I have to believe that it might have represented a lifetime longing he had for those childhood years he spent in that home. In the novel, Howards End goes beyond being an estate and becomes almost a character, a Shangri-La that I began to pine for from the very beginning of the novel. The Sisters have only brief contact with Howards End through the early part of the novel, and my trepidation grows as the plot progresses. Will they ever have a chance to consider the house a home? The Schlegel’s befriend the Basts, who are certainly in much reduced circumstances compared to their own. By mere chance they are discussing the Basts situation with Henry Wilcox, who promptly puts doubt into their mind about the future validity of the company Leonard is working for. This sets off a chain of events that cause a series of ripples that change the course of several lives. There certainly is a word of caution in meddling in others’ affairs. Sometimes we can think we are helping, only to cause even more problems. Margaret’s odd relationship with Henry causes a rift between the sisters that is, frankly, painful to experience. Forster makes sure that I, as a reader, at this point can no longer be objective. The relationship between these siblings is a precious thing and to think of it torn asunder is impossible to accept. They know so well how to entertain each other, to finish each other’s thoughts, and share a general agreement on most things that other people who bump around in the orbit of their reality feel like intruders. So the marriage between Margaret and Henry is unsettling to Helen and me for numerous reasons, but this statement might sum up how we feel pretty well: ”How wide the gulf between Henry as he was and Henry as Helen thought he ought to be.” There is probably someone we could feel is good enough for Margaret, but not just Margaret but Helen and this reader as well (see how invested I am? ); for whomever either girl would marry would have to slip seamlessly into the state of euphoria that already exists in the Schlegel household. It is becoming impossible to think that Howards End will remain nothing more than a shimmering presence in another reality. 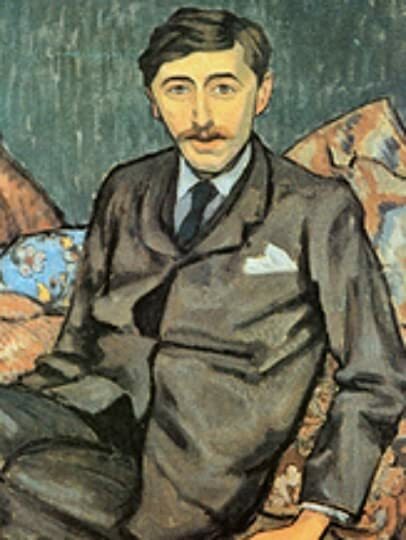 E. M. Forster, portrait by Roger Fry. The Schlegel sisters are really the best friends any reader could hope for. We would be so enriched by the opportunity to know them and practically giddy to be able to call them friends. It is unnerving that something so strong, like this relationship between sisters, can be so fragile. I haven’t discussed the fascinating nuances of plot that will add further weight to the interactions between the Schlegels, the Wilcoxes, and the Basts, for I want everyone to read this book and marvel at the words and thoughts that Forster tosses in the air for you to catch. I want you all to be as haunted as I have been, to the point that you, too, will have to go back to the place you first met these characters, these ghostly beings, and read and read again turning these phantoms into tangible beings you can almost touch.